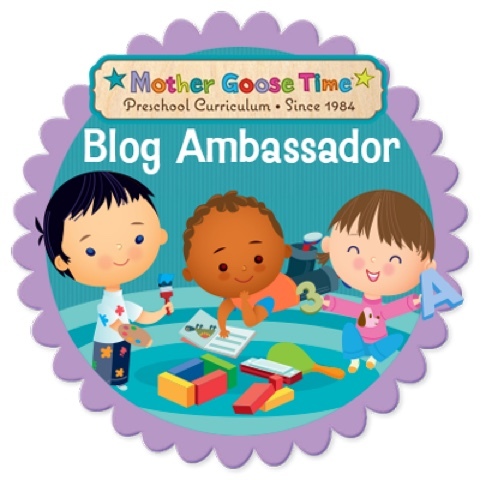 We had the absolute sweetest lesson with Mother Goose Time (MGT) this week. The topic was stringed instruments. 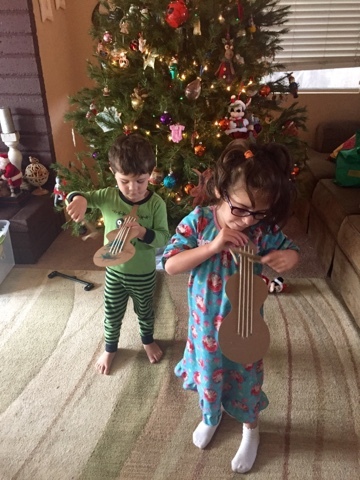 We made an adorable violin and played along with our MGT circle time CD. 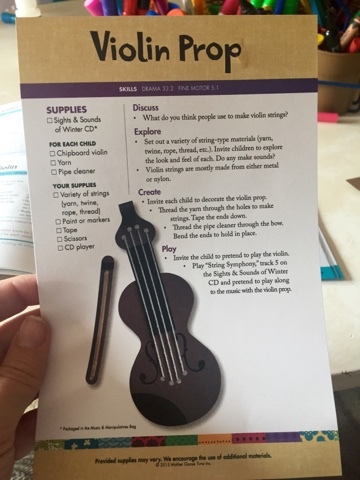 We also put rubber bands around a shoebox and the kiddos learned about vibration and how stringed instruments make their sounds. Tiny B said that "they wiggle." Soooo cute. 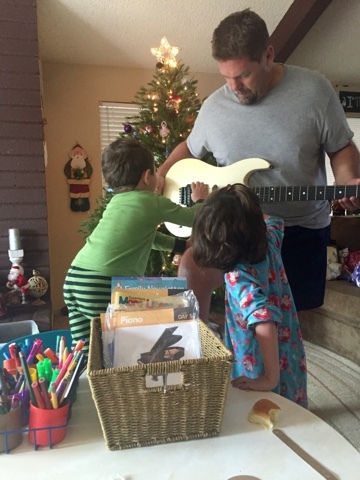 My hubby heard us discussing the subject matter and just had to bring out his guitar. (He does not play guitar, much to his dismay. He has high hopes that someday he will...It's been in our closet for 20 years, ha ha!) Anyway, he let the kids play and reinforced what we had learned. 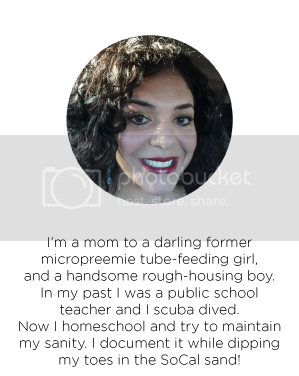 It was so sweet, and another reason that I just adore homeschooling...The whole family can play a role in the education. 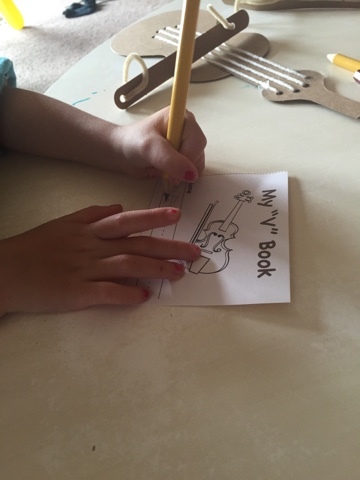 After the main lessons, Tiny B and I worked in her Literacy and More book, and it happened to be perfect timing as the subject was the letter "V" and a little Violin book! Since it's such a busy month, I have a feeling that we won't get all of the days of MGT finished, which leaves me feeling a little guilty because I don't want them to miss any of the fun stuff. However, when I taught, December was not a very productive month anyway. I plan on picking out the most fun lessons for the remainder of the month. 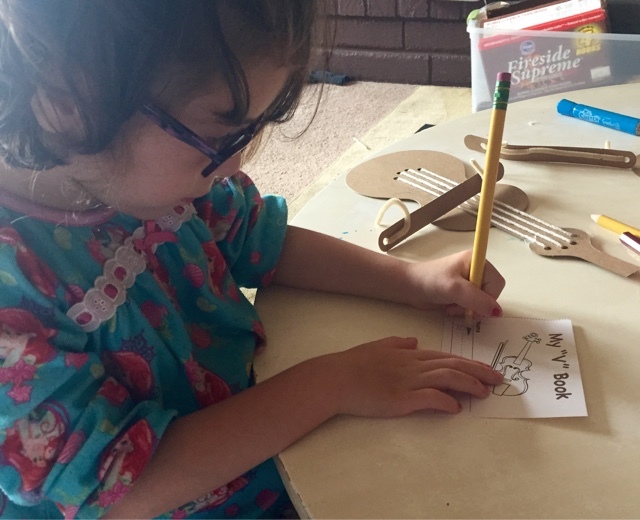 We are having a play-date over this week to do a few of the MGT bible lessons, because really, nothing is more important than learning about the birth of Jesus. We'll do the remainder of the bible study the next week.